Our mission is to offer tools required to achieve levels of shooting performance heretofore only imagined..Hunting, target, or tactical - no matter the challenge - our engineers and craftsmen aim to fulfill your needs.What separates Mirage built rifles from the rest of the pack? 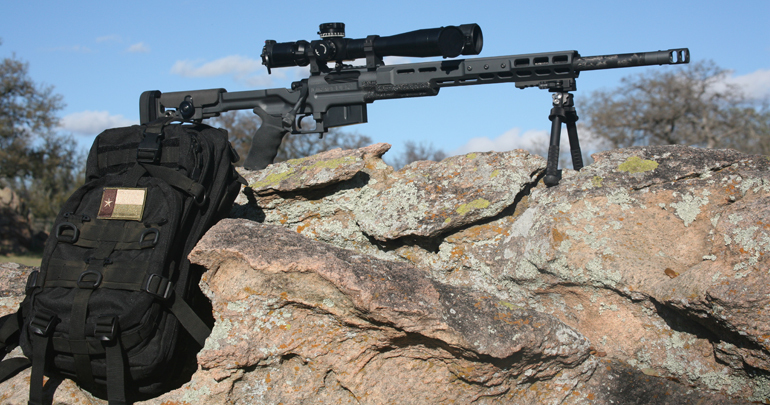 Mirage rifles are designed and built for superior handling and consistent accuracy. • The Mirage billet aluminum chassis systems have built-in adjustment points to meet the personal preferences of virtually any shooter.- Mirage billet aluminum centerline chassis are machined from stiff, aviation grade billet aluminum, are designed to eliminate “moments of movement.” Meaning that as the recoil energy moves from the muzzle to the recoil pad through the rifle, unique to the Mirage centerline chassis, this recoil energy moves in a straight line with no interrupting “moments” or ups, downs, twists and turns like it does through the traditional rifle stock. It is this characteristic that eliminates unwanted and unpredictable muzzle flip giving the Mirage rifle a significant edge on accuracy and consistency. - Common to old-style systems and, even, those advertised as “tactical” stocks, the off-centerline moments introduced by their grips, combs, cheek rests, and recoil pads introduce significant mechanical moments (levers and fulcrums), through which the recoil energy must travel and through which this energy creates unwanted and unpredictable muzzle movement interfering with consistent bullet travel. 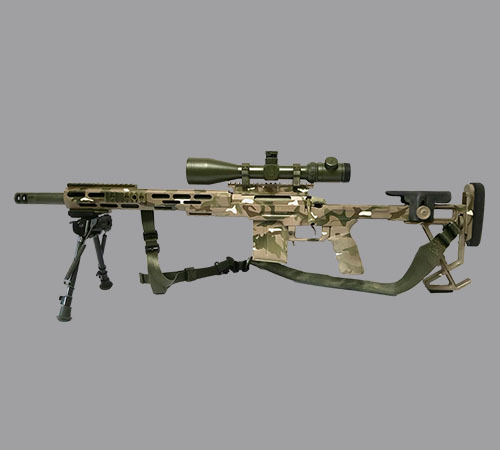 • Mirage centerline chassis are designed with the requirements of modern long-range shooting in mind. At Mirage, we didn’t just settle for an old design then cob it up merely to enable the shooter to see through a large scope mounted on a tall rail - we started from the beginning. 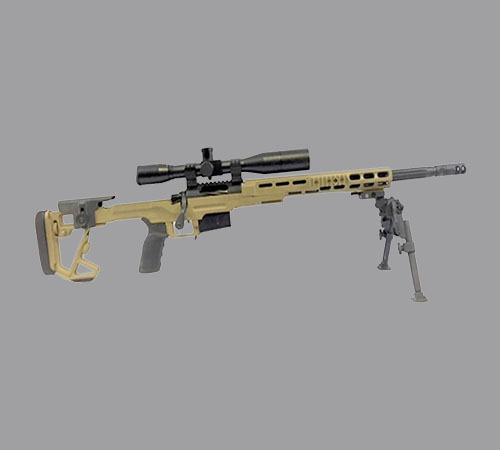 - Modern tactical, long-range shooting has evolved from the use of small diameter telescopic sights mounted low to the bore-line effective at ranges under 600 yards to the use of sophisticated sighting equipment, including 35 and 40 mm telescopic tubes with 56 mm objective lenses mounted on up to 60 MOA rails effective at distances of over 2,500 yards. 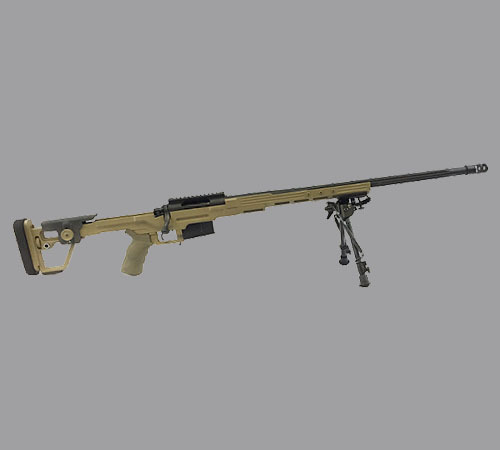 This evolution called for significant changes in rifle chassis design and Mirage ULR has answered the call. .• Unique to the Mirage centerline design, without special tools and parts or a gunsmith, the Mirage chassis and your barreled action become one interconnected system. - Unlike many of Mirage’s competitors, because our chassis are machined from aircraft grade, billet aluminum, there is no need for pillars, “bedding compounds,” etc. - Unlike most of Mirage’s competitors, your barreled action can be “dropped-in” to a Mirage chassis with a minimum of preparation to the chassis and barreled action. 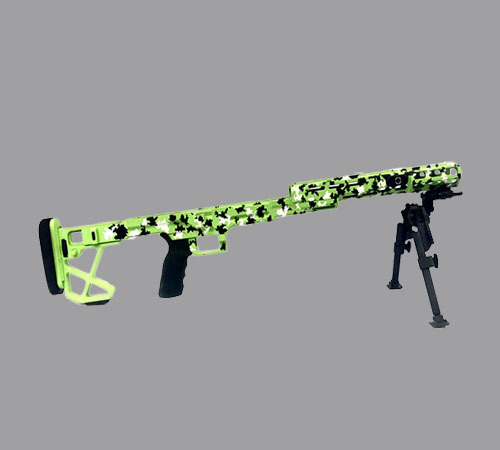 - Clearly, a benefit to the Mirage centerline chassis is that you can purchase a chassis and install your own barreled action without the aid of specialized machine tools or a gunsmith. - And as an added benefit to the Mirage centerline chassis, you don’t have to purchase and install expensive bottom-end metal…No trigger guard and no magazine tunnel needed. We’ve done it all for you.